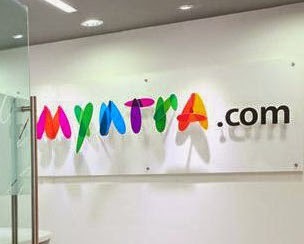 Popular e-commerce retailer Myntra has decided to shut down its website services by the year end to promote shopping through their app on smartphones. The decision came after reviewing the recent changes in the way online shopping trends have performed over the years. Myntra has dealt with 65 percent sales driven from mobile platforms especially the smartphones that uses the official Myntra mobile app. The changes are not yet confirmed, but sources reveal that the company is going to target mobile users to drive their sales target above 90 percent in coming year. Last year Flipkart and Myntra hit the largest sales accumulating a total of over a billion that makes millions for each firm. Excepts from TOI reveal in an exclusive chat with Mukesh Bansal, the leader of Myntra and Flipkart team that their high expectations of users coming on mobile shopping platform has increased significantly. This has given the team to concentrate more on app friendly platforms to make it subsidized to cater more than ten thousand visitors per minute. On an approximate sales value per month, Myntra is doing around 300 crores per month and have already made 3700 crores in 2014 financial year. On performing certain analytic study with Morgan Stanley, it is realized that Fashion is the second largest online shopping category that accounts for the highest Gross Merchandise Value after Electronics. Sometimes these sectors do outperform the major ones to end up being the leaders. On the other hand, mobile and app shopping has seen a rise of 57% in net sales value from 2013 year. This is accountable due to a large number of users switching to smartphones for easier and tech friendly life. If Myntra goes on to completely switch their value to mobile based, they will be expected to drive about 90% sales through these platforms, a figure that none has achieved till date! Other e-commerce giants like Snapdeal and Amazon India have started to rethink their expansion plan to cater more sales through apps and smartphone. Will Myntra's decision be welcomed as a next generation thought or will they face a punch from their trusted customers, only time will tell!